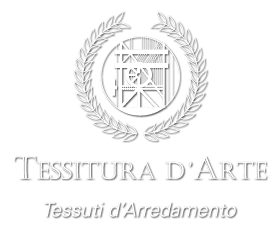 By consulting and using this site www.tessituraonline.it (from now on “Tessituraonline”) you automatically agree with its contents. The information in this website including data, news, pictures, graphic, drawings, trademarks as well as domain names are Tessituraonline’s property and come from internal source unless otherwise indicated. Tessituraonline can modify at any time and at its discretion, either the contents or the operating system features without any notice. Tessituraonline allows the copy, the release and public disclosure of this site contents only if tessituraonline authorship is specifically mentioned and a direct link leads to the original page. Tessituraonline makes sure that information in this site comply with reliability, honesty, accuracy, completeness, topicality requirements with the only purpose to be enlightening. In any case, Tessituraonline refuses any responsibility for possible mistake, inaccuracy, shortcoming and omission found in published content, either issued from material mistake or misprint, data allocation, Formatting or scan. The same for the contents published in the site, generated by third Companies with which tessituraonline collaborates. Tessituraonline is absolutely not liable neither for the contents of any other website through which – by hyperlink way – the user has reached the site and for those of the accessible websites – via hyperlink – from this very site, nor for possible losses or damages suffered by the user for any reason whatsoever resulting from the access to websites through hyperlink connection. Moreover Tessituraonline is not liable for comments left in the posts. The Company cannot be blamed for potential image or reputation harmful comments of third person, not even under anonymous way. Comments are under control and any kind of harmful language or behavior towards third person will mean their immediate removal. Furthermore, Tessituraonline is not accountable neither for the website non-use, nor for the late updating of relative information and damages originated by possible interruption, suspension, delay or technical connection fault depending to power, telephone or internet network supply or any other reason not caused by Tessituraonline. Tessituraonline together with its empowered technical service facilities protect the site against intrusion risk as well as action of programs aimed to damage or stop the operation through adequate electronic tools and scan virus systems. However the user is the only responsible to provide its own electronic equipment used when surfing with programs which guarantee a safe web surfing in the network as well as an appropriate virus and damaging programs protection. For any further information or clarification, the user may contact the name indicated in the site contact section.